Yesterday was the funeral for convicted gangster James “Whitey”. Bulger, a notorious leader in Boston area organized crime gained even more notoriety when he hid out for decades while sitting atop the most wanted lists. When they finally caught up to him, Bulger claimed immunity from prosecution as he had been cooperating with government investigators. That defense didn’t work, and Bulger was sent away to prison. He was murdered last week the very day he was transferred to a new facility, bringing to a close a dark chapter in Boston history. Bulger was played by Johnny Depp in the biopic “Black Mass”, and influenced other stories, such as Martin Scorsese’s award-winning “The Departed”. Cape Coral has approved the purchase of body cams for Cape Coral police officers. It’s a $300,000 purchase, but it will improve law enforcement and help protect officers. That’s a good move for the city and the people of Cape Coral. They hope to have the cams up and running by next summer. Stephen Rakes, one of potential witnesses listed in the Whitey Bulger prosecution, died during the course of Bulger’s trial. It was reported that he was not going to be called as a witness in Bulger’s case, which apparently had disappointed Mr. Rakes a great deal. It appears the poisoning was not at the direction of Mr. Bulger, as one of Mr. Rakes’ business associates has been charged with poisoning his iced coffee. The medical examiner ruled this week that cyanide poison is the cause of death. 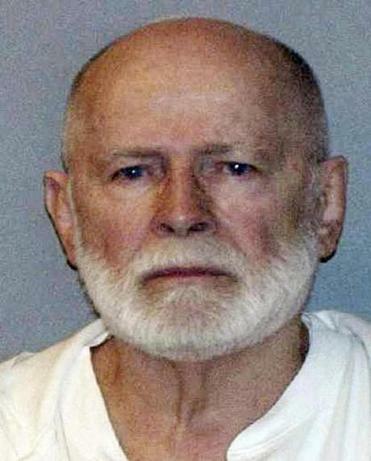 James “Whitey”Bulger has been found guilty of most of the charges against him, including racketeering and many of the underlying murder and extortion charges. No word on whether the jury believed he was “snitchin’“. Alleged crime boss Whitey Bulger, who spent 16 years hiding out to avoid his criminal charges, is currently on trial in Boston. He’s facing 32 counts, including 19 murders that he was allegedly involved in. Bulger was the alleged boss of the Winter Hill Gang, but was also allegedly an informant for the FBI, who in turn tipped him off about searches, raids, and even his own indictment (again- allegedly). His double dealing lent inspiration for Jack Nicholson’s character in “The Departed”. However, it appears his defense attorney will argue that he was not, in fact an informant. There had been some suggestion that he might claim immunity as a defense, based on the supposed promise for cooperation from the former prosecutor. His spent more than a decade atop the FBI’s most wanted list, until he was finally tracked down in California last year, thanks to a tip. Jury selection is complete, and the trial is expected to take several months. Several of his former gang members are lined up to testify against him as government witnesses. It’s the biggest mob trial since John Gotti. Boston.com has had excellent coverage of the case. James “Whitey” Bulger, the former gangster facing trial in Boston after years on the lam, scored a major victory last week when the Court of Appeals ordered Judge Stearns off the case. This is one of those “appearance of impropriety” decisions that often control on removal questions. Stearns worked at the prosecutor’s office, as a supervisor, during the time when Bulger was being investigated and was cooperating to some extent with law enforcement. To make matters more complicated, Bulger claims he was given an immunity deal from the prosecutor he was dealing with at the time, and who has since passed away. While Stearns may not have had anything to do with the case at the time, it helps ensure a fair trial, and eliminates an appellate issue for Bulger, which is more cost-efficient in the long run. Former Justice David Souter penned the opinion. Alleged mob-head James “Whitey” Bulger has claimed that a Federal prosecutor had given him immunity from prosecution (though, not for the murder charges among his indictments). Federal prosecutors object to him even being allowed to raise this defense. Their request to deny the defense is set for a hearing today, to decide the issue prior to the case going to trial. Generally, if there is evidence to support a defense, it is proper for the jury to be allowed to consider it, and for jury instructions to include it. That is, it is up to the jury to decide the ultimate issues at trial. The prosecutors say the claim is “frivious and absurd”, and that the jury shouldn’t even have to consider it, but if there is evidence it should be up for the jury to weigh that evidence. At an earlier hearing, another judge did find that there was tacit approval given for Bulger and his associate to commit some crimes. That suggests there is the modicum of evidence that would create a jury question. The judge may take some time to consider the issue before he rules. In other Whitey Bulger news, Johnny Depp is going to play him in a movie adaptation, and Ben Affleck is working on another from a Dennis Lehane novel. (Which is basically going to rehash the Frank Costello character from the Departed.) Gawker.com has a great takedown of the overabundance of Boston mob movies.